LOS ANGELES - Aug. 10, 2015 - PRLog -- California State Senator Fran Pavley visited TIG/m, LLC to support alternative energy technology and green job creation in California. She was joined by Henry Stern who is the senator's senior policy advisor on alternative energy and the environment. The company, located in her district, is in the forefront of designing, manufacturing and installing viable, pollution-free public transportation and of creating green jobs that help to preserve our natural resources and the environment. “TIG/m is exporting clean transportation technology around the world and putting people to work right here in our backyard. This is exactly the kind of win-win that positions our great state to lead on job creation and pollution reduction," said Senator Pavley. TIG/m Modern Street Railways designs, manufactures, and installs pollution-free, self-powered streetcars using the most advanced proprietary technology, including a uniquely engineered and integrated self-contained power source combining lithium iron phosphate batteries, regenerative braking, and a hydrogen fuel cell. Their custom, state-of-the-art, high-capacity hybrid/electric streetcars are designed for both inner city public transportation as well as for private commercial development transportation. TIG/m’s unique system doesn’t require overhead wire systems to power the vehicles, saving up to 50% of infrastructure construction capital costs compared to wayside power systems. TIG/m has developed its hybrid self-powered propulsion system as an elegant alternative to less efficient and far more costly methods of moving rail vehicles, with an integrated system that can seamlessly power streetcars for a 16-hour-plus revenue cycle without a refueling or recharging break. 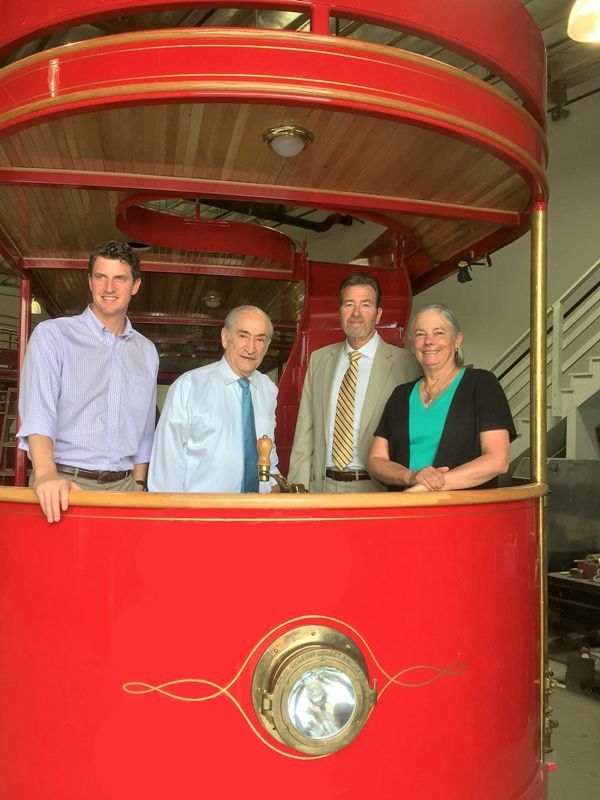 The company recently delivered its third trolley to Oranjestad in Aruba, which is committed to a fossil fuel-free future, and the company is working on a fleet of convertible streetcars for Dubai in the United Arab Emirates. Other trolleys and modernistic trams are in design and production for projects in California, Texas, Puerto los Cabos in Mexico, and Qatar. For more information on TIG/m Modern Street Railways visit www.tig-m.com.